Our world can be very toxic. This is simply a fact of modern life. Pollutants are everywhere. In the air we breathe. In the food we eat. In the water we drink, and they can even invade people’s words, thoughts and feelings. There really is no part of you – physical, energetic or spiritual – which isn’t under constant onslaught of some form of toxic substance. This is precisely why we need to take a proactive approach towards cleansing our bodies and minds. Here are some simple ways that you can cleanse yourself of the toxicity of modern society. BPAs, heavy metals and pesticide are all present in our food chain. Which means they are also present in your body. Activated charcoal binds to pesticides and other environmental toxins. It then ushers them through the intestines to be purged from the body. After using activated charcoal, you can supplement your diet with molasses to replace important minerals the charcoal might leech from the body in the process of getting rid of the unwanted toxins. The Western diet is full of carbohydrate-rich foods, such as pasta, bread and rice, and of processed foods made with high-fructose corn syrup and sugar. As a result, more and more people suffer from fatty liver condition. Milk thistle (Sylibum marianum) is a common herbal supplement taken to improve liver function. In addition, this herb has been linked to reduction in certain cancers, reduced diabetes and even improvement in digestive disorders. Iodine, naturally occurring in plants such as seaweed, effectively improves the removal of sodium fluoride via urine. Unfortunately, the Western diet has left us deficient of this vital mineral while our bodies need it most. 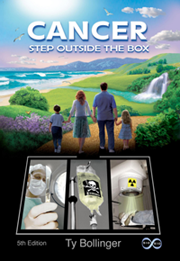 In his book Iodine: Why You Need It, Why You Can’t Live Without It, Dr. David Brownstein explains how iodine can kill fungi, bacteria, viruses and how it removes fluoride and enables the body to get rid of heavy metals. People who take iodine in sufficient amounts report that they have a greater sense of well-being, increased energy, and a lifting of brain fog and sharper mental abilities. Everything in the natural world produces an electromagnetic field, including the human body. Unfortunately, we are increasingly exposed to unnatural EMF’s that are emitted from Wi-Fi and cellular networks, wireless devices, handheld electronics, power lines, etc. Scientific research is starting to discover that electromagnetic fields and radiofrequency radiation may have adverse effects on fertility and reproduction. Other studies have linked it to cancer, eye damage, insomnia, and other disorders. One way to block harmful EMF is by using a non-crystalline mineraloid called Shungite. The physical properties and molecular structure of Shungite has been found to block EMF radiation when it is placed on or near the emitting device. The North American native tradition of smudging by burning white sage bundles has been used for generations to clear out stale and negative energy out of the body and spirit. With the right intent and respect, the smudging process can help you clean your energy field, even if you are unaware of any problems. Smudging may help you clear residual feelings regarding a situation that has past, negative emotions such as anger and fear that linger after an event or interaction, tension and stress felt psychologically or physically, as well as the harmful energies of other people that have latched themselves to your psyche. Smudging is a relaxing way to regain composure and re-center your awareness after experiencing distress. Science continues to prove that meditation is a powerful healing practice. You can use a very easy and short meditation at any time to calm your physical systems, slow down your thoughts, and even protect yourself from psychic and energetic attacks. One example for a simple meditation is a white-light meditation. Close your eyes, calm the breath, and then image in the mind’s eye a bright white light forming a protective shield all around your body and any other person or object that you want to safeguard. It is up to you how long you keep your eyes closed and how bright your light will grow. As you open your eyes continue with the meditation by trusting that your white light will continue to surround, protect and comfort you. Sources cited within the article. This article (6 Ways to Rid Yourself of the Toxicity of Modern Living) was originally created and published by Waking Times and is published here under a Creative Commons license with attribution to Anna Hunt and WakingTimes.com. It may be re-posted freely with proper attribution, author bio, and this copyright statement. PreviousDoes the U.S. EPA Have ALL of Monsanto’s Hidden Science Regarding Glyphosate and GMOs?